This is a black and white silhouette of a skyline which is representative of London city. The Tower Bridge in the background and the river Thames in the foreground. 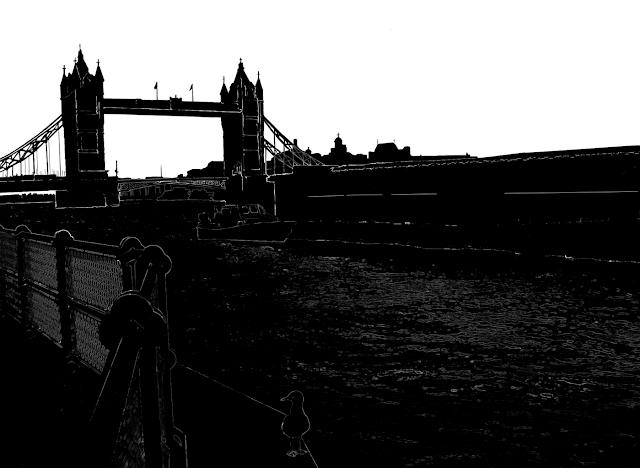 This bridge is often mistakenly called the London Bridge. This is a silhouette of an ordinary street scene in London but some typical London sights are silhouetted against the sky. 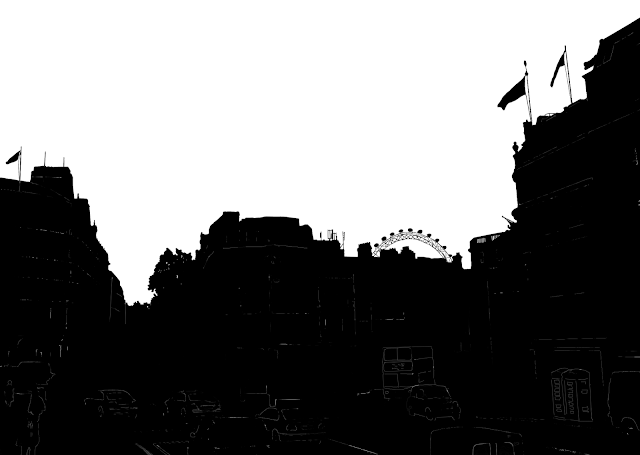 The London Eye can be seen silhouetted in the background and in the foreground there is traffic and buildings, a typical London telephone booth and a double decker bus. Or try the label Skylines for more silhouettes, sketches, or photos of skylines of different cities of the world. Actual photos of Westminster Palace and Big Ben which is the British House of Parliament.